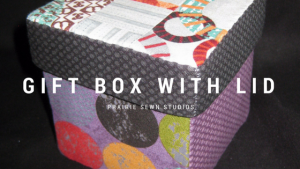 What better way to deliver your gift than in a fabric gift box made by you. 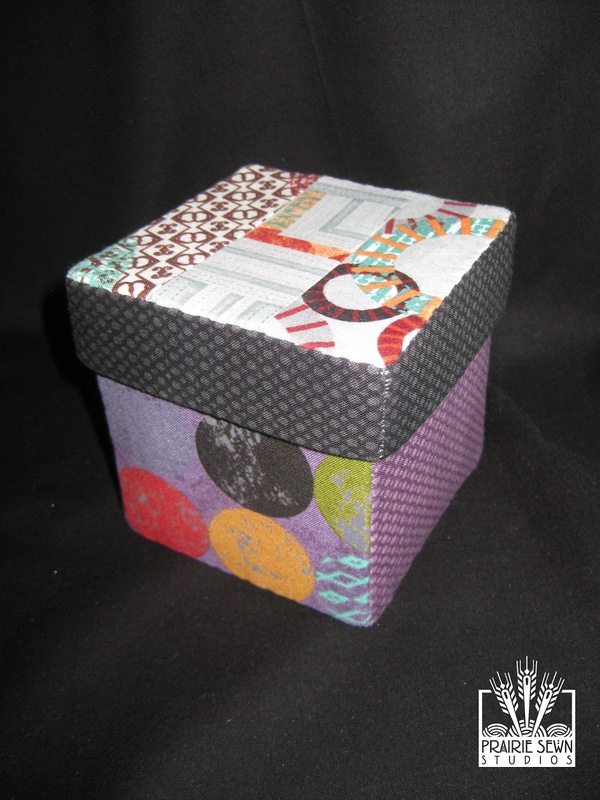 Choose fabric that will tickle the fancy of your recipient and give them a gift they can use any way they want. Fill it with a small gift or candies to round out the perfect present. 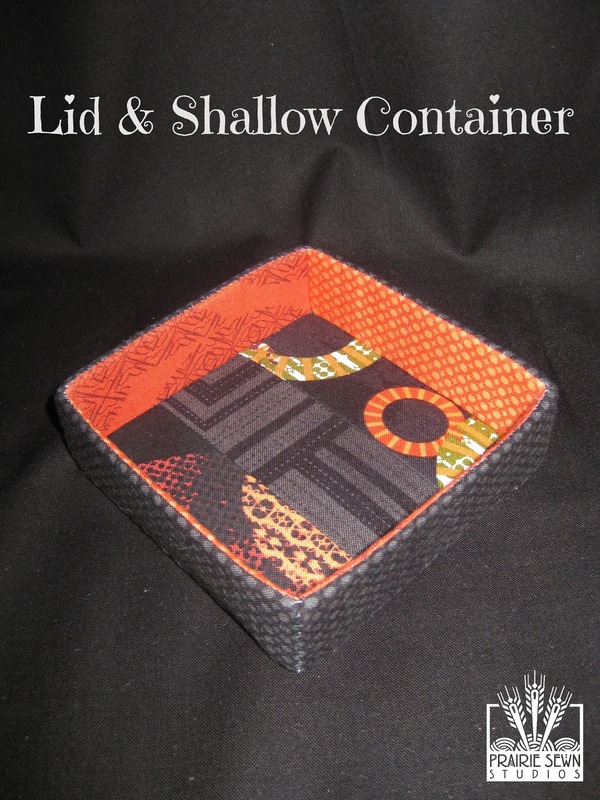 To make this gift box and lid you’ll need a copy of Contain It! English Paper-Pieced Accessories for some of the templates and the full directions. There are two additional templates (linked below) that you’ll also need to print out. In addition to using some of the templates from Contain It! to make this gift box, the book will also serve as the full set of instructions for prepping the materials and constructing the box and lid. Here is the basic outline of the steps, but be sure to also read the instructions for the cube starting on page 25. Remember, you’re making TWO separate containers that fit together, the gift box (cube) and the gift box lid. 2. From Contain It! Make your templates and cut the following pieces. As always, be sure to label everything! 3. Using Templates 121 and 122 that you printed, create your templates and cut the following pieces. Remember to use the 2″ square printed on Templates to ensure it printed correctly. 4. Follow the directions for cube construction that begin on page 25 of Contain It!. Remember that all of the 3-D containers are constructed in the same way with these basic steps. 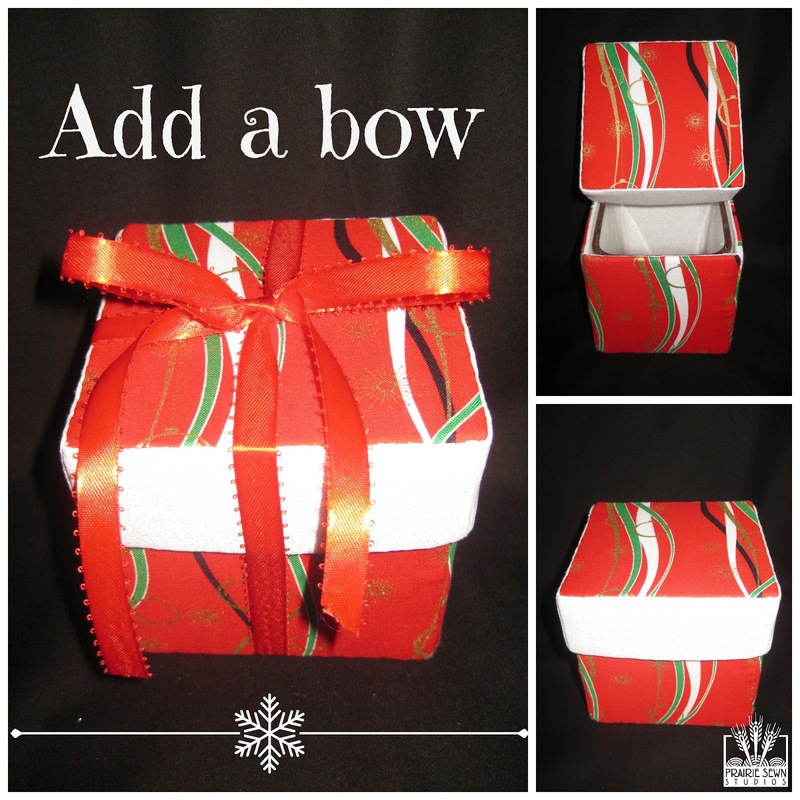 Since you’re making a box and a lid you’ll make two separate containers that fit together to make the gift box. Sew the Octopus (hand or machine-see pages 13-15). Remember the Octopus for the lid will look like the Octopus for the Cube – just shorter sides! Want to make a bonus container? Make just the lid and use it on your desk for post-it notes or paperclips!